Find hair restoration. California Stem Cell Treatment Center promotes stem cell therapy and regenerative medicine. Apparently, this Stromal Vascular Fraction is a convenient or efficient way of extracting something injectible that’s rich in ADSC’s from adipose tissue siphoned off in liposuction. However, the CSN’s article talks mainly about using this to help improve “hair transplant sustainability”. What about just for hair regeneration – regrowing hair? Very few details are provided about that. Plus, the CSN article combines this SVF news with a discussion of using automated robotic devices for HT, which to me, is totally irrelevant and something that I don’t believe is useful to us at all. A robotic device can NEVER compete with a skilled human surgeon, in my opinion. But HT surgeons are very excited about this idea, because it’s a way for them to increase their profits. The reason they might be testing these two things together – SVF and automated HT devices – is because they know the robot has limitations and provides poorer results, and they think that adding the SVF might be an easy way of overcoming those limitations, to improve the outcome of robotic HTs. To me, that would be research designed primarily to determine how they can increase their own incomes, rather than patient-centered research. 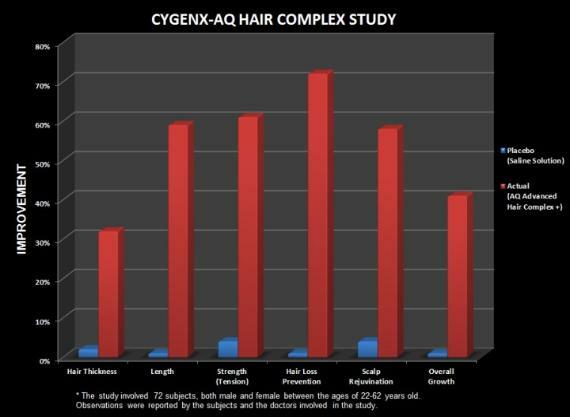 Perhaps we could get them to do more clinical research using ADSCs or AAPE as a stand-alone therapy for hair regeneration. Very interesting! This is just the kind of information I’d been looking for, and completely confirmed my suspicions. Not a good sign that they talk about hair transplant, almost like platelet rich plasma or acell which in my opinion is just a creative way to market hair transplant. I don’t know exactly what SVF is. I feel like it’s not exactly what we are looking for, and I also feel like it may not be a satisfactory alternative to what we are looking for. Aren’t there doctors using pure adipose derived stem cell in the USA? I also think that this SVF product sounds kind of gimmicky. They say it’s rich in adipose derived stem cells but in this context the word “rich” seems like a subjective notion. When a proprietor says his product is “rich in stem cells” I typically start rolling my eyes, and a lot of proprietors are using the sales-pitch that their products are rich in stem cells. It’s my understanding that in order for adipose stem cell injections to be effective the injections have to be very concentrated and pure. I have strong doubts about whether or not SVF is a satisfactory substitute for pure adipose derived stem cell injections. SVF is basically the exact same thing as ADSC, just another way of describing it, which refers to the stuff they’re taking out of your body to get the ADSF. “Stromal Vascular Fraction” refers to what is suctioned out of the body in a liposuction. Basically it’s gobs of yellow fat (adipose) tissue interlaced with vasculature, meaning small blood vessels. The fat together with the blood vessels and other connective tissue (like fascia) is often referred to as “stroma” or “stromal tissue” by doctors, it’s just a general term meaning “in-between” or “supportive” tissues. They are trying to build an argument that they’re not dealing with pure stem cell cultures, which would concern the FDA enough to ban it or demand an Investigative New Drug (IND) application (yes, a DRUG application), that’s why they’re stressing that it’s “not pure stem cells”. It is just as much stem cells as any other ADSV, in fact, this is basically how ADSCs are usually derived. They’re just using more of a surgically-oriented term, SVF, to stress the fact this is a purely SURGICAL procedure, not a cell culturing procedure or a biochemical manipulation. This helps them to argue to the FDA that it shouldn’t be regulated and shouldn’t require an IND. To answer Jarjar’s point, of course, a culture of “pure” adipose derived stem cells would probably be more potent per unit volume, but culturing it in any way would tend to kick in those FDA regulations. So, injecting this centrifuged stuff (just like PRP is taken from the body and centrifuged, but not cultured), would help them avoid FDA regulation or an IND requirement. I believe that there is some ADSCs inside of SVF but there is probably not enough. ADSCs are typically 2% to 10% of SVF. I also think that the efficacy of the ADSCs might might be reduced or even completely wiped out since SVF is not pure ADSCs. Roger look at it like this - there are doctors out there working with real and pure ADSCs and what would those doctors say about using SVF in place of pure ADSCs?? I think they would probably say that they think pure ADSCs would be the best way to go. It seems to me that this company is trying to use SVF, which certainly has some ADSCs, in the same way that other doctors want to use PRP and pretend that it’s essentially the same as stem cell therapy. This paragraph makes me wonder if SVF really has the exact correct cells or not. Not exactly, because I think ADSCs are fundamentally much more valuable to growing hair than PRP, which is almost useless, except insofar as it can help wound healing. Sure, with the SVF, you don’t get 100% ADSF, but guess what? I think that most doctors in the US who are doing anything with ADSF are probably using SVF. Cell Surgical Group has just been more explicit and descriptive about what they’re doing. I think unless it’s a clearly “homologous” use – e.g. the ADSF being injected back into the exact same (or nearly the same) tissue/organ where the fat was taken from – then they’re using SVF, because it is “arguably” just a surgical procedure, and therefore technically might be exempt from FDA regulations of stem cells. Yea you are probably right that a lot of the clinics using ADSCs are probably using SVF. I would like to use pure ADSCs like the dog got in the link of one of my recent posts. I also think that ADSCs would probably be very helpful. I don’t know what to make of it, this Cell Surgical Network is also selling eye serum, hair serum and even PRP starter kit, has anyone tried their hair serum before? I don’t think that their SVF is snake oil I just think there isn’t enough adipose derived stem cells in it and there’s too much other stuff in it. And the reason you know that adipose derived stem cells won’t regrow hair for you is because Yale University said it might, right? That fact that a scientist from Yale University said adipose derived stem cells might grow hair for you is all the evidence you need to know that it won’t grow hair for you, right? I think you’re right there, Jarjar… It’s just a way of extracting ADSCs that falls into what is arguably the FDA’s grey area, a surgical procedure instead of a stem cell culturing procedure, and that’s the argument they would use if the FDA tried to restrict this. But it is probably not nearly as effective as a pure culture of ADSCs. Mr. Z, what are you saying, exactly? That there is no scientific validity to any of this whatsoever, that the whole thing is just made up BS? Check out Dr. Knoepfler’s interview with these people, and his blog (please check out his qualifications and his entire blog, and determine for yourself if this guy and his interest in the field are credible), then check out the Japanese study of ADSCs by Dr. Fukuoka et al., in the peer-reviewed and prestigious American Journal of Cosmetic Surgery, “The Latest Advance in Hair Regeneration Therapy Using Proteins Secreted by Adipose-Derived Stem Cells”. Look at the photos if you need visual evidence. It’s very easy for someone with no scientific background to sit back and label entire fields of research a “sc@m” just because one thing doesn’t pass your smell test or was associated with a product in the past which didn’t give good results. The AQ Serum stuff they were, and probably still are, selling has nothing to do with ADSCs. I wouldn’t have bought that stuff when it first came out, and I wouldn’t buy it now. SVF and ADSCs are something completely different. Why can’t they weed the stuff out of the SVF that isn’t adipose derived stem cells so that there is only adipose derived stem cells in the treatment? That wouldn’t be culturing. Technically, maybe not. But I’m a bit familiar with the way federal agencies regulate things down to finer details in grey areas, and often it’s a subjective call made almost arbitrarily by a few mid-level officials. If the regulations don’t speak precisely to the situation, then they “fill in the blanks”, and usually on the more conservative, restrictive side (unless they have some kind of “understanding” with a big industry represented by powerful lobbyists.) I think the CSN people know this, and so they’re being extra careful. It would be interesting to experiment with this stuff along with plucked hair.